This tool is aimed to help marketers to setup an email list verification to avoid the triggering of emailing filters. Email List Cleaner is a Google Spreadsheet helping marketers to fix MailChimp Omnivore Warning for example. This tool will find emails containing words likely to trigger filters and will delete the entire row to leave only non-sensitive email addresses. To use this tool, you will have to copy and paste your email list in the B column and hit the “Clear the email list”. Just wait a few seconds and you’re done. Copy and paste the new list back into your Emailing service provider. It’s really easy to use. It’s free. Enjoy. To avoid mail servers to be flagged as spams from mailing services such as Gmail, Hotmail and so on, Email Marketing Services are trying to keep their records clean. The more an emailing campaign is flagged as spam, the more the Email Marketing Services providers’ rate will be rated as low quality, this low quality will increase the risk to have servers permanently banned (which means loss of servers, so, loss of money). To avoid the loss of rating from mailing services, email marketing services are trying to detect when an email is collected with the owner’s will. One of the main factors is to scan emails for high-risk keywords that prove that the email has been collected without owner’s will such as « contact@domain.com / admin@domain.com… ». If the number of email addresses containing high-risk keywords is too high, Email Marketing Services will freeze the import of the entire list thanks to their own anti-spam filter. That’s why an Email List Cleaner is needed. To avoid this anti-spam filter, we will clean the entire list. The goal is to wipe all the addresses containing high-risk keywords, only to keep non-generic email addresses. This is exactly what this tool is made for. From the beginning, the goal was to avoid Omnivore filter from MailChimp. It flagged an entire list because it found out that the addresses were too generic. So, I worked to understand what were the main email list ranking factors that could determinate if an emailing list could be imported or not. Then, I started to work on this tool. The goal was to make an efficient and easy to use tool. Email List Cleaner works in that way. It allows you to clean an entire email list in seconds without any limits. Then, you’ll just have to copy all the data left into the sheet and re-import them to your emailing service provider. That’s all. 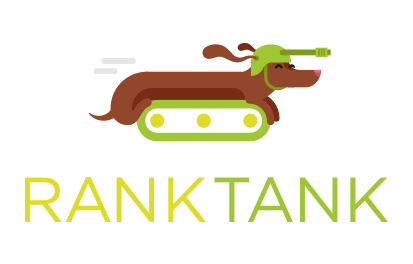 RankTank.org have released a bunch of really useful tools for years, I used them for a long time, so, it’s a good thing to give back to the community. That’s why I release this tool. If you would like to thank me, don’t give me money, a backlink to http://www.douichen-sofiane.com is THE BEST you can do. Special thanks to RankTank.org, YOU ARE AWESOME. does not work at all..
Click on the button “Open in Google Sheets”, then choose to make a copy of the sheet. Thank you for adding it to your collection! Thanks to Douichen for this tool :).